The Hike House has recently introduced the web-based Sedona Trail Rating System. 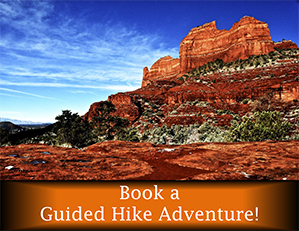 Our intent is to introduce you to all the fantastic hiking trails in Sedona. 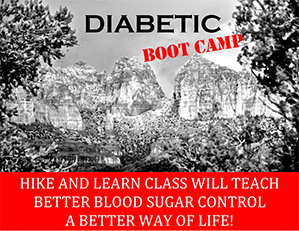 You can easily identify what other hikers experienced as easy trails, moderate trails, and hard hiking trails. Each hiking trail has a description, ratings, photos, video, and commentary. Some hiking trails may not be complete yet.The Sedona Trail Rating System is being added to daily by authors, photographers, and most importantly YOU! The Sedona Trail Rating System is quickly becoming the most recognized, comprehensive and useful online hiking trail resource for Sedona. Please look through the hiking trails listed below. We also hope you will share your hiking experience here and rate a trail so fellow hikers can benefit from your experience. 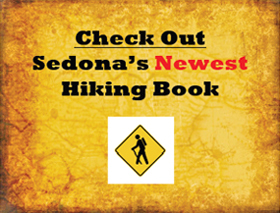 We believe in hiking preparedness, which includes hiking safety, maps of Sedona trails, hiking gear, education, etc. Once the essentials are covered then selecting the best hiking trail for your abilities and desires is the most important thing to ensure an over the top hiking experience. There are easy trails, moderate trails, and hard trails but these simple classifications do not allow for the complex diversity of the hiking trails that Sedona offers. The user friendly Sedona Trail Rating System takes classification to another level. Sedona is the Day Hike Capital of America with over 100 hiking trails and no two trails are the same. We invite you to use the Sedona Trail Rating System and get familiar with our trails. Then, when you want to identify the single best trail for your hiking experience, we invite you to visit The Hike House and use the Sedona Trail Finder. The Sedona Trail Finder is a high definition interactive tool that “marries your abilities and desires” to the perfect trail experience. Learn more about the Sedona Trail Finder by clicking here!